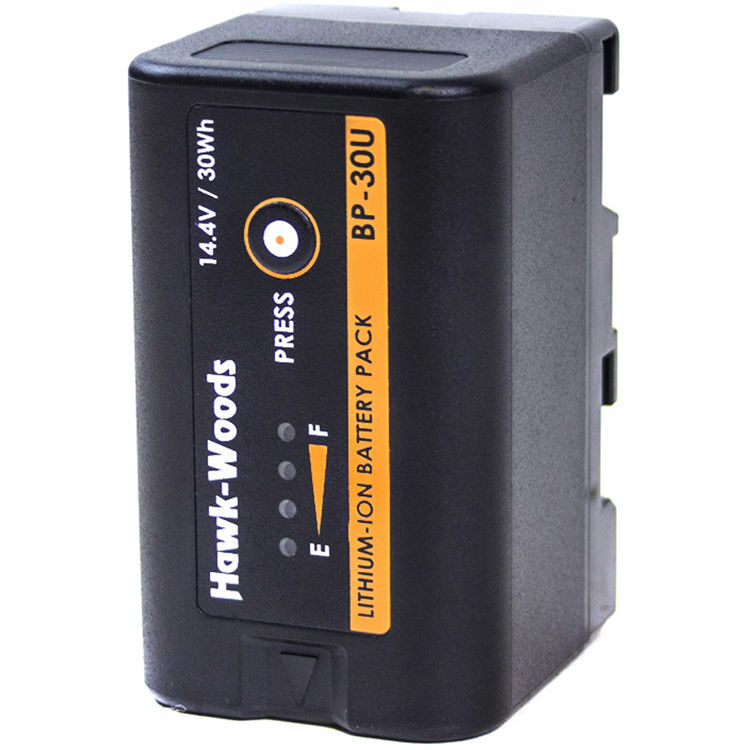 Designed as a replacement Sony BP-U battery, Hawk-Woods' BP-30U 30Wh 14.4V Lithium-Ion Battery offers long-lasting power for the Sony FS7 and select Sony PMW/PXW cameras. This compact, 30Wh lithium-ion battery features overdischarge, incorrect charger voltage, short circuit, and thermal protection. A push button, four-LED power gauge enables you to quickly and easily check the battery's remaining capacity.